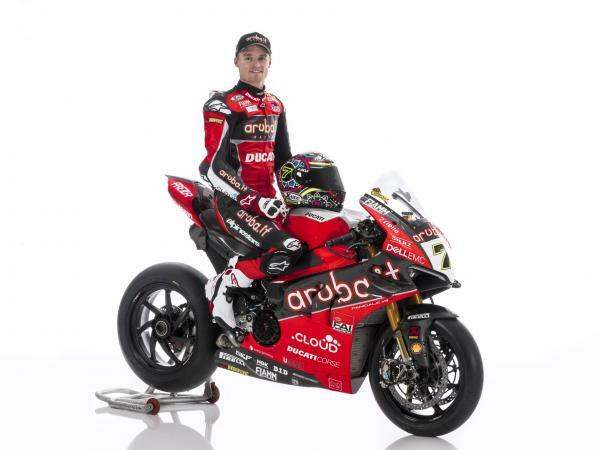 The Aruba.it Racing - Ducati team for the 2019 Superbike World Championship was presented today inside the futuristic surroundings of Aruba’s Global Cloud Data Center at Ponte San Pietro near Bergamo. 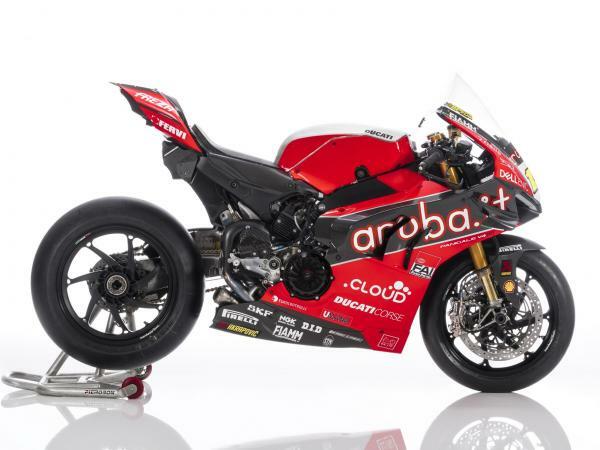 The presentation was broadcast in live streaming on the www.ducati.com and www.arubaracing.com web sites, the latter unveiled for the occasion with attractive new graphics, thus allowing numerous enthusiasts worldwide to follow the event live. 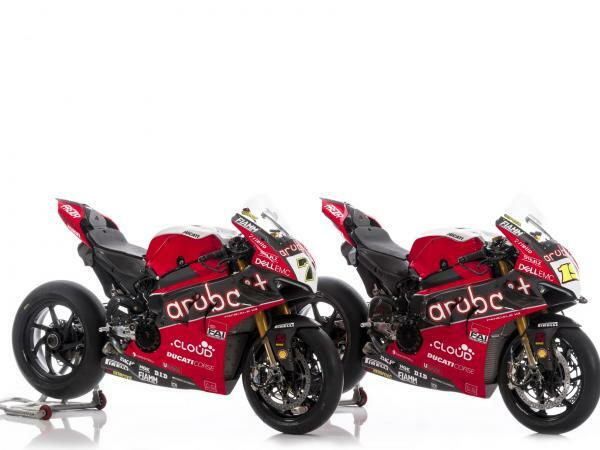 The Aruba.it Racing - Ducati team will now set off for Australia, where the traditional pre-season tests will be taking place at Phillip Island on 18th and 19th February in view of the opening round of the 2019 Superbike World Championship held at the same track on the following weekend, from 22nd to 24th February. 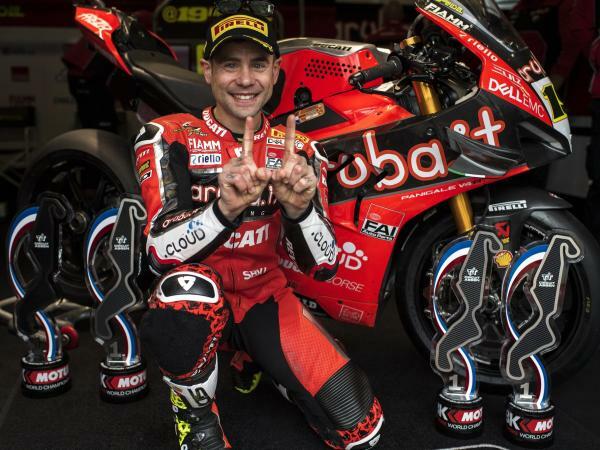 "I’m very proud to begin this new adventure with the Panigale V4 R in the Superbike World Championship together with Ducati and we can’t wait to get back on the track for this exciting challenge, which we will tackle with more enthusiasm than ever. The previous seasons have given us a lot of satisfaction, but we still have to achieve that much-coveted title, and the Panigale V4 R undoubtedly represents an extra resource in our arsenal. The bike’s potential is really high, and there are no limits to our ambitions. 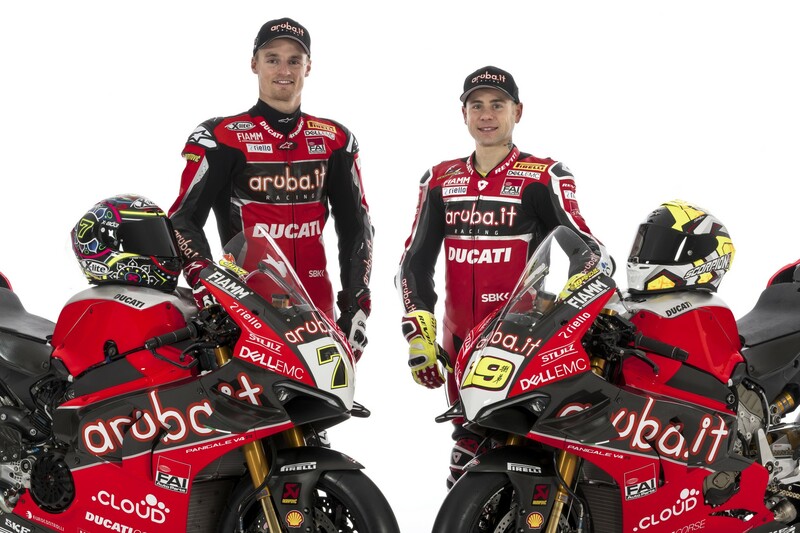 Ever since we started to collaborate with Ducati, we have always been protagonists in the Superbike World Championship, and we count on being so this year as well with Chaz and Álvaro, whom I’d like to warmly welcome into our team. They are two competitive and complete riders, and they have all the right cards to race constantly for the top positions. 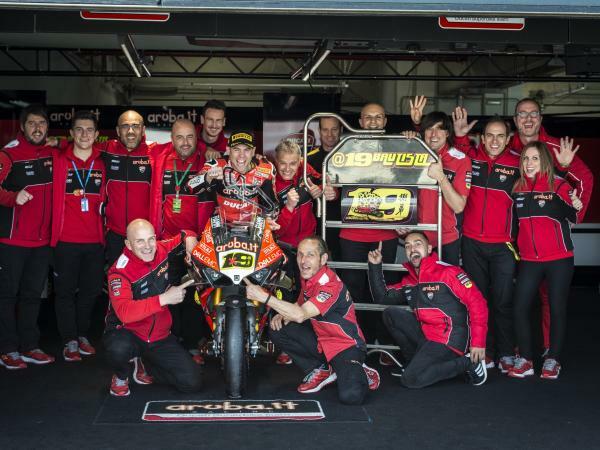 We’ll do everything possible to put them in a condition to get the most out of their own potential and that of the bike, and write further chapters in Ducati’s winning history in Superbike." "This year we will truly witness a historic turning-point. Racing is an inseparable part of Ducati, just think of the many examples in which the technology and know-how developed on the track have then been applied to production models. 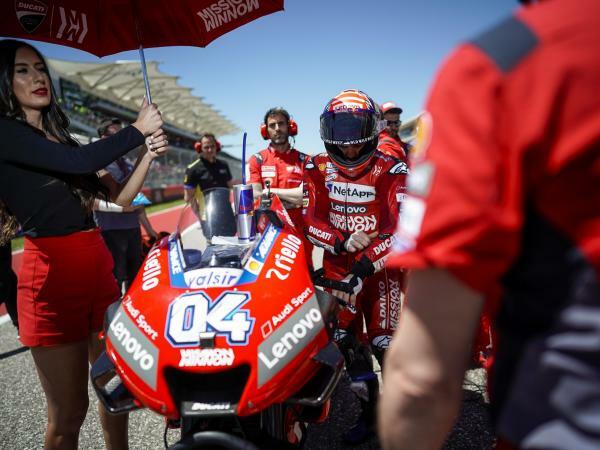 The Panigale V4 is a perfect example of this philosophy: it’s the first Ducati production bike to be fitted with a four-cylinder engine and equipped with technology coming from MotoGP. 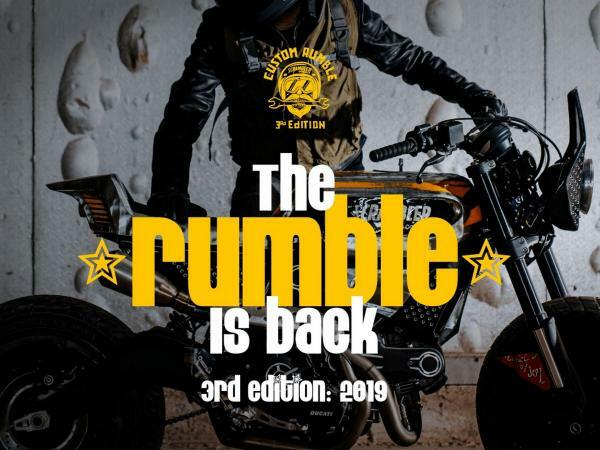 In just twelve months it has become the new benchmark for style, technology and performance, with more than 6,100 units delivered across the globe, and it has allowed us – for the first time ever in company history – to achieve a global sales record in the superbike market segment. Now we also want to take it to the top on the track, its natural habitat, by making it become the king of SBK in the 1000cc R version." 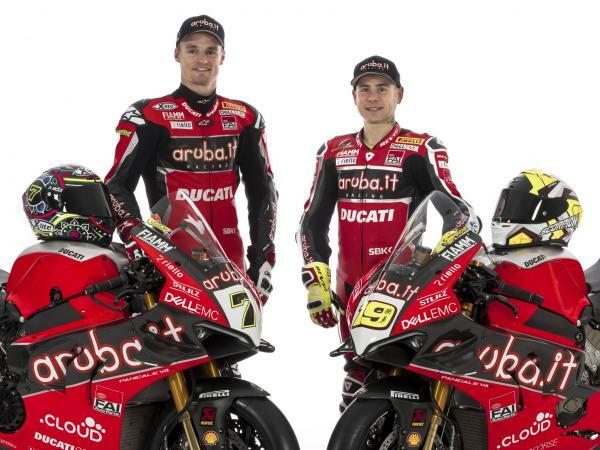 "The V4 R is the result of the synergy between MotoGP and SBK within our Racing Department. The most obvious example is the V4 engine, which derives directly from the experience accumulated on track with the Desmosedici GP, but there are many other details, including the aerodynamics package, which make it special. The project is still at an early stage and development has started auspiciously well, but we still have to perfect several details and we have a clearly-defined development programme. There is no question that we have a great pair of riders, so it’s up to us to allow them to express all their potential on track. We’ll be working with only one aim in mind: to win." "I’m very excited and motivated about the season that’s about to start. After five years and many great memories with the twin-cylinder bike, the time has come to begin a new challenge and I can’t wait to get back on track with the Panigale V4 R. My last tests were hampered a bit by the twinge I felt in my back, but my overall physical condition is much better than last year and in any case we managed to complete our test schedule. We’ve still got two more days of testing left and they will be fundamental to define the last details, and then finally we’ll be racing again. The start of the year is going to be even more exciting than ever, and having a new bike – as well as a new team-mate – is going to be extra motivation for me." "I can’t wait to start this new adventure. The balance of the winter tests is really positive. The project is a new one and there’s still a lot of work to be done but lap after lap we found a good base to work on. I still have to adapt to this new technical situation, particularly the tyres, but the performance shown in just six days of testing is undoubtedly encouraging. Phillip Island is a spectacular track and I’ve always liked it, there couldn’t be a better place to begin this exciting new adventure and we’ll do our best to be ready."